Earlier this month the US pharmaceutical company Gilead obtained a patent in India for sofosbuvir, part of a treatment of hepatitis C that became famous because for its 1000$ a pill price tag. (For additional information read my comment in The Lancet of 26 May here.) Hepatitis C is an infection caused by the hepatitis C virus (HCV), which can lead to lethal liver disease if left untreated. 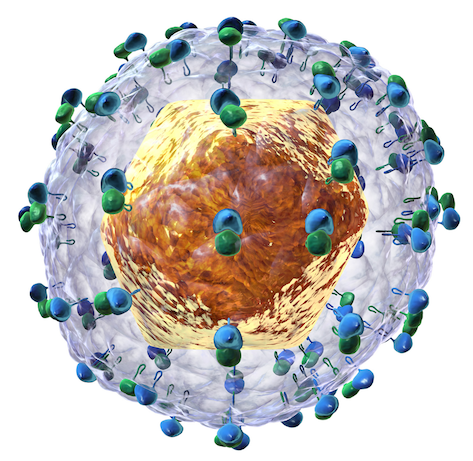 Globally 130 – 150 million people have chronic hepatitis C according to the WHO. In 2015, signalling the need for affordable HCV treatments, the World Health Organization added sofosbuvir and other antivirals to the WHO Essential Medicines List. However, the high price of Gilead’s HCV treatment limits its worldwide accessibility. Even high-income and those middle-income countries that are excluded from licensing agreements and price competition feel the need to ration the treatment. In the Netherlands the price of a 12 week treatment is 46,000 Euros (52,400$), which should be considered in relation to the production cost of sofosbuvir, which is estimated at US $68–136 for a course of treatment. It is therefore no surprise that civil society organisations formally opposed the granting of a sofosbuvir patent by the Indian Patent Office. India plays a key role as “the pharmacy of the developing world”. Its generic industry could flourish due to the decade-long ban on medicine product patents. To this day India remains the main supplier of low-priced essential medicines such as those needed to treat HIV/AIDS. In 2005 India amended its Patents Act and introduced medicine product patents in a move to become fully compliant with the WTO TRIPS Agreement. As a result, all new essential medicines, including those for HCV, are now subjects of patent applications in India. The Indian Patent offices and Indian Courts decide whether these applications deserve a patent under India law. Initially, the sofosbuvir patent application in question was rejected by the patent office in India following the pre-grant opposition mounted by civil society. The grant of the sofosbuvir patent to Gilead does not mean that generic production and supply are impossible. Eleven Indian generic companies signed voluntary licence agreements with Gilead for the production and supply of sofosbuvir and other HCV, which potentially may benefit 100 million people in 101 low and middle-income countries. Such agreements come with restrictions. For example, the agreements determine where the medicine can and cannot be supplied. A number middle-income countries, home to over 50 million people with HCV, are currently excluded from the agreements. … it shall not be deemed to be a breach of the Agreement for Licensee to supply an API or Product outside the Territory into a country where: (i) the government of such country has issued a Compulsory License relating to such API or Product allowing for the importation of such API or Product into such country, provided that Licensee’s supply of Product or API into such country is solely within the scope and geographic range of such Compulsory License and only for the duration that such Compulsory License is in effect; and/or (ii) the Government of India has issued a Compulsory License allowing for the export of an API or Product from India and into such country, provided that: (Y)(1) there are no Product Patents owned or controlled by Gilead (or its Affiliates) issued in such country or (2) a Compulsory License has also been issued by the relevant authorities of such country; and (Z) Licensee’s supply of Product or API into such country is solely within the scope and geographic range of the Compulsory License issued by the Government of India, and only for the duration that such Compulsory License is in effect. The use of compulsory licences by middle-income countries, in particular, is often met with fierce opposition from wealthy nations. If countries are serious about rolling out treatment programs for HCV they can do so by using the flexibilities at their disposal in their own laws and in the licence agreements. Wealthy nations currently struggling with high drug prices for all new medicines should perhaps look back into the history of patent law development and the rationale for including compulsory licensing provisions. The aim was to empower governments to ensure a balance between the rights of innovators and the rights of society. When life-saving products are not affordable to health systems and individuals, such balance is clearly non existent. It is time governments behave responsibly instead of rationing a proven effective treatment for an important disease.